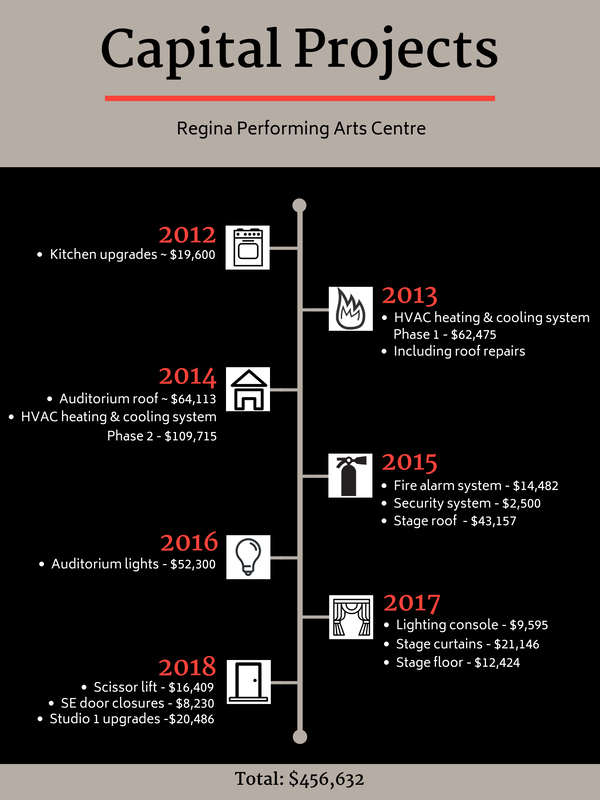 Theatre Regina, owner and operator of the Regina Performing Arts Centre, is a non-profit, charitable organization dedicated to strengthening Regina's cultural community through the provision of affordable rehearsal and performance space for its member groups. The organization cannot survive on rental revenue alone and must rely on funding from government agencies, foundations, private donations, and corporate sponsorships. Click on these links to see how you can be involved.